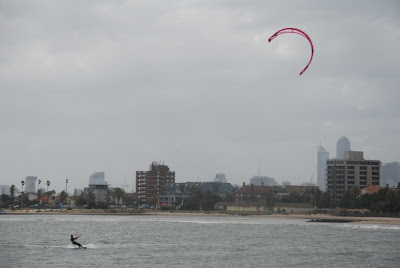 On Sunday 1 1 March, we did a family trip down to St Kilda for a walk along the foreshore and to check out the kiting action. I didn't take my kite. 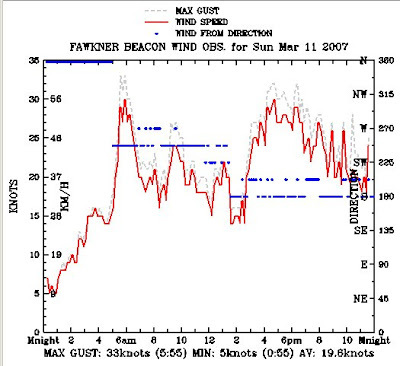 The wind was blowing at 30+ knots. 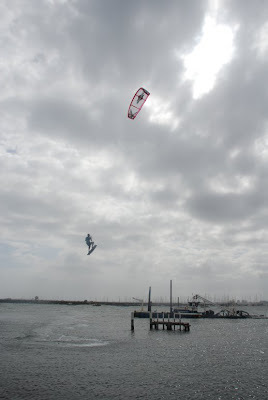 We weren't dissappointed with the action - a couple of guys were doing outrageous jumps right next to the pier in sheltered water, but with the wind raging overhead. There were sSome serious obstacles about - like the dredge moored nearby, and no helmets or impact vests. 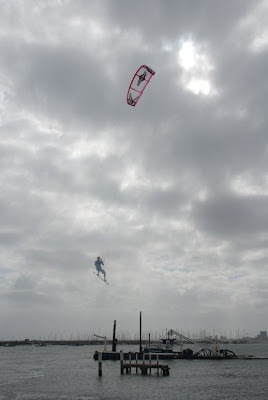 Apparently there has been one kiting fatality with impacting the pier while jumping, but today everything was fine. 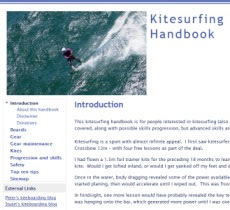 They made it look easy - edge the board in to build up pressure then release the edge and fly the kite high. Once in the air, the kites were flying around and coming low again. Landing on the heel pointing downwind seems like the go. Really impressive stuff. 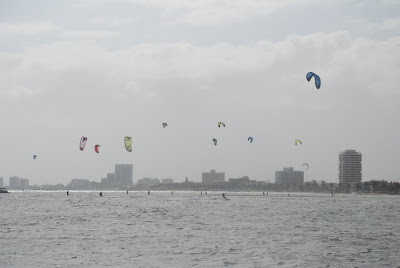 This is looking from the St Kilda pier back to the main kiting area just to the West. Getting some speed heading towards the pier.